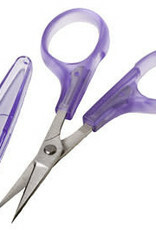 Small, sharp, precise—these scissors are ideal for carefully cutting a steeked opening in your latest knitting project. These scissors have one inch long blades, so you have complete control over where you cut. And there is a protective sheath to cover your scissor tips, so you can safely leave these scissors in your knitting notions pouch. 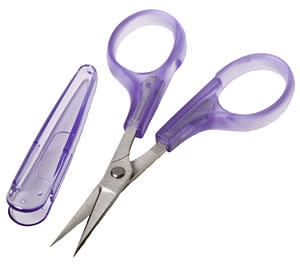 Or if you are interested in other crafts, these scissors would work very well for embroidery, sewing, or paper crafts.